Last week, a yet to be announced PlayStation 4 Spider-Man project has been revealed through the online resume of an actor who apparently provided motion capture. The resume has been made private shortly after the news broke out, making the rumor more likely. Today, another hint on this yet to be revealed game has been dropped. A few hours ago, Nerd Leaks, who has proven to be reliable regarding leaks, has hinted that Sucker Punch, the team behind the inFAMOUS series, among other games, might be the team developing this yet to be announced Spider-Man project. When asked by another user about the possibility of Sucker Punch developing this game, Nerd Leaks mentioned that Sucker Punch’s title is a spectacular open world game, with character artist working on it required having strong understanding of the history of costume design. @RichieRider SP's title is a "spectacular game", "open-world" and Char artist have "Strong understanding of the history of costume design." 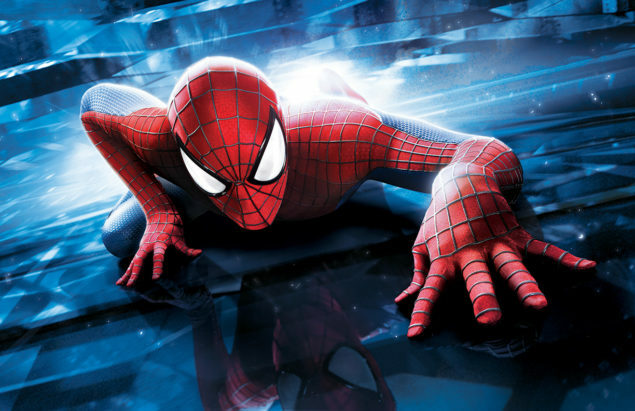 Following the first tweet, Nerd Leaks stated that a Spiderman game developed by Sucker Punch would be “spectacular”. The repeated “spectacular” definitely sounds like a hint. A spider man game developed by SP would be spectacular! As mentioned above, the yet to be revealed Spider-Man project has been originally revealed through the online resume of actor Stephen Ouyoung, who also posted a picture on his Instagram profile, revealing that he has participated in a 3D face scan at Sony. Both the online resume and the picture are no longer available online. This yet to be announced Spiderman project has yet to be confirmed, so we must take all this with a grain of salt until an official confirmation comes in. If this game is indeed in the works, with the E3 2016 so close we will definitely hear more about it soon enough. We will keep you updated on the matter as soon as more comes in on it, so stay tuned for all the latest news.